Many people in the UK have wood-burning stoves. Some houses need these for heat, whilst others use them as a decorative room feature. However the problem with wood burning stoves and chimineas is that they give off smoke as they burn. Under the Clear Air Act of 1993 (consolidating the 1956 and 1968 Acts designed to deal with smog), local authorities can designate some areas of their region to be a 'smoke control area'. In these areas, it is an offence to emit smoke from a chimney, a furnace or any fixed boiler. It is also an offence to acquire 'unauthorised fuel' for use in a 'smoke control area'. Are there any laws about what is burnt in a chimnea? Our neighbour seems to burn any wood that comes to hand which at times causes copious amounts of smoke, preventing my family enjoying our garden and forcing us to close our windows. The maximum punishment for each offence is a £1000 fine. Your Local Authority will be able to advise of any 'smoke control areas' in your local region. You can find numbers to contact your local authority. Some exempt fuels and exempt appliances can be still used in these areas. These have passed tests to ensure that they burn without producing smoke. A list of exempt fuels/appliances can be obtained here. What About Other Relevant Legal Requirements? There are legal requirements about the design specification and installation of wood burning appliances. This is to ensure that these are correctly ventilated to allow fuel to burn cleanly, and ensure that appliances do not release dangerous carbon monoxide or carbon dioxide into people's homes. Manufacturers and installers of these appliances will be aware of relevant legal requirements and they will be responsible for compliance with these. However the current legal requirements for the UK can be found in Buildings Regulations Document J, Table 1. Clearly, smoke blowing into your garden or house is "a nuisance", and can affect your enjoyment of your property, especially if this prevents you sitting in your garden, or opening windows. However this may also be a legal 'nuisance'. You have a right to quiet enjoyment of your property. This is the same right that stops your landlord carrying out weekly inspections of their property. A legal nuisance is an act that interferes with this right (such as forcing you to close your windows or preventing you sitting in the garden). This type of nuisance is often referred to as a private nuisance. "any continuous activity or state of affairs causing a substantial and unreasonable interference with a claimant's land or his use and enjoyment of that land". I live in a UK city which has seen a great increase in the use of not only wood burning stoves but also the use of smokeless fuel. Being surrounded by 3 houses in a built up area that regularly pump out smoke and fumes, it is not a comfortable or healthy environment. As far as I can see none of these activities tick the environmental box or consider the health implications. Do we have a legitimate cause for action? Whether any activity constitutes a nuisance will depend on how it affects you, and the reasonableness of the activity. This will include considerations such as the time of day the activity is carried out (for example DIY is a reasonable activity, but not if it involves hammering after midnight every night). The court will also consider the area that you live in. For example a built up area can be expected to be noisier than a rural area. The case of Cambridge Water Co Ltd v Eastern Counties Leather Plc stated that if a defendant was using their land unreasonably and causing a nuisance, they will still be liable, even if they used reasonable care to avoid doing so. The test is really if the action was unreasonable, and if the resulting nuisance was reasonably foreseeable. It is a defence to a nuisance claim that if a private nuisance has continued for 20 years, it becomes legal. If you have been aware of a continuous nuisance caused by your neighbour for over 20 years, you will not therefore have a claim in nuisance. However if you moved into your Property after your neighbour was already burning wood, and so committing the nuisance, this will not be a defence according to the courts. (The 1879 case of Sturges v Bridgman states that there is no defence that the Claimant came to the nuisance). Often a private nuisance will also be an environmental nuisance (for example light pollution). You can therefore ask your Local Environmental Health Officer to attend your property and report on the conditions. This will be useful evidence in your case. We have a neighbour who has a wood burning stove that frequently floods our house with fumes. Having spoken to the Local Environmental officer we are assured that the appliance conforms to the legal requirements and therefore our only redress is a civil case. As we do not have the funds to do this can you suggest an alternative? You may also apply to the Magistrates Court if, though a nuisance has currently stopped, it is likely to reoccur on the same premises. Of course the easiest and cheapest way to address a nuisance is to speak to your neighbours. Do they realise that the smoke from their fire is blowing into your house or preventing you using your garden? Particularly in the case of outdoor fires, it may be that these could be moved to a different side of their property to prevent this problem. Notice of court action - You will need to provide notice of your intention to take court action (under part 7, section 82 Environmental Protection Act 1990) at least 3 days before doing so for any noise nuisance, and at least 21 days before for any other type of nuisance. Serve a notice on your neighbour - You will need to serve notice on the offending neighbour. You should keep a record of doing this, so many people chose to send a recorded delivery letter. Service could also be affected by a hand-delivered letter, but you would have no record to prove that this was delivered. Represent yourself - You can conduct your case yourself, without legal representation if you wish to do so. Be prepared -Be aware that the defendant may make counter-accusations and also call witnesses. Costs - If you are successful, you may recover some or all of your costs from the other party. However if you are unsuccessful, you may be required to pay some or all of their costs. Breaches of injunction - If an injunction is granted, you will need to go back to court if this is breached to enforce the order. What evidence will you need to take your case to court? There are no rules about what evidence you will need in court; you simply need enough evidence to prove your case. Try to make sure that for every point you make, you can back up what you are saying with evidence; it is up to you prove your case on the balance of probabilities. Any evidence you wish to rely on must however be relevant, and go to proving / disproving an element of nuisance (not simply showing that your neighbour is annoying in some other manner). 1) Photographic evidence - take pictures of the smoke blowing into your house / garden. Is soot covering your personal belongings? Take pictures of this. 2) Damaged items - if sooty smoke / ash is blowing into your house / garden, put items (e.g. teddy bears) in a plastic bag as evidence that soot is damaging your property. 3) Witness statements - as well as you giving evidence, you could ask other neighbours / friends to visit your Property and witness the problem themselves. Your witnesses must have witnessed the problem themselves however; they cannot simply give evidence that you told them there was a problem, as this is classed as 'hearsay' by the courts and won't be allowed. 4) Reports by an Environmental Health Officer (EHO) - if an EHO has visited your Property you may rely on their report or test readings. However if the report indicates a nuisance to the public at large, often the EHO will take on the case against the offending party themselves. Note that any evidence that you wish to rely on will have to be disclosed to the other party if you take your case to court. You will therefore have to provide your neighbour with copy statements and photographs. My neighbour has a small woodburning stove in the living room yet the amount of unchopped wood he gets delivered, great big tree stumps & think branches is unbelieable. I don't mind but he sounds ages shopping it with an axe not more than 2 meters from my house. The noise & vibration is unbelievable. Yet he had a 20m garden where he could easily chop all the wood there, where he stores it. I gave told him about chopping it all up do close to the house but he just ignores me. He also chopped it up weekends and weekday evenings. Not great to come home to after a hard day at work. He is driving me crazy! I'd like advice please.My elderly parents neighbour has installed a single stories extension and fitted a wood burner to the back wall. Every day my parents car and garden is covered in soot and little pieces of embers. He's not interested as says it's normal.Is it ? I love the psuedo caveman description as i have one living next door on a 1970 built housing estate.He frequently has a chainsaw going then the fire pit starts up. But this week even worse he has had a woodburning stove installed. We are very close built properties and the chimney and flue go up the side of the house. Yesterday i went in the bedroom closest to this chimney and it stank strongly of smoke as all my windows are kept on the jar (double glazed) to allow fresh air to circulate.I quickly pushed window open wide to allow it to escape. He was outside looking at it, so he knows its wrong, i shouted down what was wrong and told him to get the installers back as something was wrong with it and i should not have a bedroom full of smoke as someone has to sleep in here. He quickly ran inside making some statement that i could not here. We have lived here 13 years and do so as quietly as possible although other neighbours have had psuedo caveman problems with him. Then last year our side of the fence came under attack from him.His garden borders 4 neighbours due to cul de sac arrangement. Real problem is his personality does not fit the house he bought (which was cheap) so all have to suffer his anti social habits. My neighbour has a wood burning fire and has it on all day but What I don't get is why they need both heating and a fire. My daughter has a life long condition called cysticfibrosis which effects her and she really doesn't need the smoke coming in our house and breathing it in. Just watched tonight's news. Seems that it has dawned on the politicians that pollution is a bad thing. 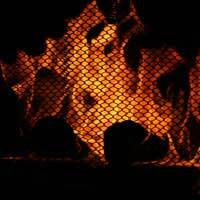 They want to "limit" the damage that burning wood in stoves and open fires is doing. The analogue drawn tonight on bbc news is that a single woodburning stove emits the same small particle (the deadliest kind if particle) volume as a diesel TRUCK ticking its engine over all day. I have 3 wood burners next to me, a clown across the garden fence that burns wood in a garden grate on summer nights, a twit who has a wooden stove in his hut, and eleven coal fires all around me. I bought an i.q. Air monitor £250 and it showed the deadly particles called pm 2.5 was a n unbelievable score of 99. (any score above 3 is potentially serious, and anything above 25 us downright toxic. So i don't feel that sense has broken out and these vile abominations are to go the way they deserve to, of cigarette smoking in public places since there is far too much appeasing of owners of these mad inventions. Pray god though that it is end of the begining in movement towards banning this lethal "off the grid" romance too many middle class and otherwise sane people have with shedding this poison into our home, our breaths, and our children. Did any of the people who told their stories above know about the Government's Consultation on cleaner domestic burning of solid fuels and wood? It closed last week (12 Oct 18).If everyone who contributed to this forum also contributed to the Clean Air consultation, it would help avoid some of the disastrous mistakes made by the counter-productive and misguided promotion of diesels. Last year, the New Scientist review made it clear that log-burning stoves are harming our health and also speeding up global warming. So the current and proposed policies are a double whammy - bad for our health and bad for the planet. Anyone who missed the opportunity to contribute to the Clean Air Consultation should find out if they can belatedly have their say. More info: consult defra gov uk/airquality/domestic-solid-fuel-regulations/ (replace spaces with dots). Recourse to the authorities doesn't sound very incouraging. I've had a similar problem with anunmaintained water course which runs ceptic tank waste water over the lane.The Environment Agency wrote my neighbour a letter which he ignored. They said they had thousands of similar complaints and only a handfull of officers to respond. I have just had a word with my neighbour (same bloke) re a smokey garden fire lit by the hedge, five yards from my kitchen. (He has six acres of land) With smoke drifting through the hedge I hailed him and I concede I was not polite. His response was that he could do what he liked. He has two WBSs, a chiminea and he is not happy unless he is imposing smoke on his neighbours. Others have complained privately to me about his smoke but are too polite to do anything. This is a pleasant, peacefull rural spot with just six households and yet smoke is causing effing and blinding over the fence. There is no need to burn stuff for domestic perposes anymore. We can heat spaces and dispose of wood in a perfectly sociable way now. A tip, maybe, for bringing a case is that most scrap sawn timber has been treated with toxic preserver and I believe it is an offence to burn it at all, regardless of nuisance. Not only does our neighbour burn scrap timber but his whole back garden is a massive wood store.he has scrap wood everywhere with two sheds less than ten feet from the rear of our house.we have the daily chopping and sawing of wood which is a bummer as i work nights and he is retired.our house smells continually of bonfire and we at our wits end with it all.even today he has had a delivery of yet more wood to process and add to his collection.reading these posts hasnt given memuch hope.we are even talking about moving from our house which we have sunk our life savings into just for a better quality of life.the neighbour himself is a nasty,agressive little man who is very confrontational which worries my wife as i am a martial arts nut and she is petrified i will lose my temper and punch his lights out.the sooner the government sort the laws on burners out tje better. I can't see the need for use in towns and cities especially when many of these homes will be connected to gas mains. Additionally the fact that council wont act when people are burning dangerous items is ridiculous, not burning the correct materials and not maintaining fire places/burners and chimneys is bad for peoples health but is a fire hazard. Our wood burner has little to no smoke coming out of it, because we use the correct wood inside and maintain it, we also live on the outskirts of a village with only a couple of houses nearby and no issues with smoke over winter. I personally would not object to laws placed on what you can and can't burn, a licence as it were to show proper maintenance and that your wood burner adheres to policy. The fact that people still blatantly ignore environmental laws already in place for other issues makes me think that this issue will never be solved without a total ban, which is a shame for those of us relying on expensive fuel sources. Dear smoked out and downright wronged. (uh ...that's the rest of us who want to breathe) The mechanisms of state,be it local or national are deaf to the issue of this woodburning catastrophe for the same reason that america politicians seem to lack the basic wisdom to ban guns. Bear with me, i hope to make sense. The belligerent assertions of the NRA (,national rifle association) that it is their primal right to indulge themselves with their dangerous toys is mirrored in the bellicose righteousness of those off the gridders who want to live out their pseudo caveman fantasies of self sufficency. In the american example some green shoots (,pun alert)of hope can be discerned in the aftermath of the recent school shootings where the younger generation have loudly and persistently demonstrated for a gun ban. The disadvantage we have compared to anti-gun demonstrators is that we don',t yet have the photogenic faces of mothers stricken with grief over their murdered children. Not yet we don,'t. ,No, we have to wait 20, years yet until the cumulative deaths from emphysema, chronic bronchitis, child hood asthma, cancer, reach critical enough mass that even the most glib environmental health officer jumps up and exclaims ,,,"my god!, Something must be done! " You see..dear smoked out...it won',t be government that will ban woodburning stoves, they might pretend to but they won't,not until a genuine counter culture gets mobilised. There are votes in appeasing mobilised masses. What has to happen here is that we must start to look and act like we are the many and the woodburners are the few. What's to be done. First forget the jobsworths from the council. The answer lies in organising demonstrations, waking up the media, pestering the ineffectual Client Earth, postering university campuses (the last group would be crucial) Do you have the energy for this. you'll need it. Just for people to note, hopefully it helps others-We took a neighbour to court for nuisance of woodburner smoke in January 2018,after 3 years of negotiating with neighbour (deaf ears) and also talking with the council (a shambles).After an ALL DAY HEARING in court, we were told by magistrates (who had no experience in this type of hearing) that we had not enough 'scientific evidence'. My poor husband, who has some legal experience, was shattered after presenting the case all himself for 7 hours (we had videos, still photos, a diary of notes). The key point -The neighbour had a 'chief witness' the Council Environmental Health officer who told the court' it was deemed not a nuisance but had potential to be one'.She had told us 2 years previously that we could only have 3 visits to check out our claims. They never even answered the phone! We had had one visit-it took them 40 mins to arrive from Council Offices and by then smoke had dwindled. The Planner passed the chimney stack in 2016 even though it is not even 1m from our fence (should be 1.5m) AND we were never told of the planners decision, even though we had asked for it to be checked out. So, just a heads up about the stress that it can cause if you try court. We have no regrets and it cost us nothing. But it was stressful to do. Also, if you're not happy with ANYTHING about the Council in matters like this, complain within 6 months of their action/lack of action. We didn't and it meant that even the Ombudsman would not deal with our complaints about the Council. I will not give up though -the neighbour has an illegal chimney stack, and I want it down. Hello !New neighbour renovating next door,yet to move in.She's had a wood burner installed recently but hasn't used it yet.Her chimney is right opposite my bathroom window,only higher up.Once she starts using her "wonderful" wood burner I won't want to open my bathroom windows.Or any windows. Also my chimney is almost opposite her's so I'll get her muck coming down my chimney too.Lived here for 37 years without having to worry about this problem,now it's all change - for the worse ! I'm ringing Michael Gove's constituency office tomorrow so I can tell them to tell him to ban wood burners.I'm furious ! I have a problem with my neighour and their wood burning stove. Have Council out testing but not hopeful that they will find or want to do anything. The smell in 2 rooms is horrible. Think they are burning the worse type of wood possible. They are unapproachable and I don't know what to do as I am on my own and have no one to help me. I go to bed every night terrified. Just thought I'd mention that today I've seen my local MP about the legal farce that applies to both the Clean Air Act and the Environmental Protection act.Each of these Acts states why a local environmental officer can take action and also why they cant, its an absolute travesty of the law.The people whom you reply on the protect your health and stopped in doing do by the same Legislation that allows them to prosecute. Yet it does not the individual in taking action!!!! My MP is writing to Mr Gove and DEFRA and he was clearly shocked that even though smoke and toxic fumes can enter you homes the local EHOs can do nothing.Have a meeting with your MP and get them to do the same, this is the only sure fire why we are going to get anything done, change the legislation people. Don't just rant on here. You local EHO will email you the legislation and the sections/sub sections as to why they are stopped for taking actions.Get them on board. Lets put pressure on Mr Gove. I agree with everything that has been said above. Polluting the atmosphere with smoke should be banned in all residential areas, and the ban should be strictly enforced. Our neighbours (the other half of our semi) had conservatory on the back of their house which never caused us problems until they installed a woodturner in it. Now our entire house and garden is nearly uninhabitable whenever they have it on because the prevailing wind blows their clouds of thick, stinking back smoke from the wet driftwood they burn directly onto us. We have lost count f the number of times we have mentioned it to them. The first time they extended the height of their stovepipe, but it doesn't really help. Since then whenever we, or any of the other neighbours who have suffered from it, mention it, we just get the usual 'mind your own business' type of abuse. We have spent thousands on airtight doors and windows (We had to. Our dining room was a complete no go area without them) but the smoke still gets in through the chimneys and air bricks, which we can't really do anything about ,although we have the living room chimney blocked as much as we can. Essentially, they are too mean to run their central heating and don't care who else suffers from their economy. I have been keeping a record, and taking photos, and have ordered a pollution meter, but what I have read above does not give me much hope. I’ve just come out of hospital after my 5th severe asthma attack in less than a year, I’m a severe asthmatic and came home day from work to find a huge chimney outside my bedroom window, the selfish neighbour which we have all endured over the years with his constant banging and DIY responded with its my wall, he did say he would raise it but never has. A couple of weeks ago I sat in my front room wondering what idiot had foreworks in the rain to discover we had burning embers floating across our gardens from his chimney, going round to his house I was met with the neighbour on the other side. There is no need for him to have a wood stove we are 3 bedroom ex council houses on a huge ex council estate, a terraced row. It’s pathetic. I cannot have my windows opened, I have written him a letter asking that if it needs to be raised he does this but I will contact the local authority anyway to check it meets standards as he installed it himself and his workmanship is shoddy to say the least ( his makeshift conservatory roof appearing in my garden after a windy day tesitifies to that) The government needs to do more to regulate this issue and definitely stop them appearing in built up residential terraced houses where we have no option but to breathe in the fumes. Further to my first reply below I did not mean that the 'write up did not mention section 82 but the comments.Sorry for any confusion.I would like to add that the write up mentions that the statement: "Some exempt fuels and exempt appliances can be still used in these areas. These have passed tests to ensure that they burn without producing smoke" is not correct its entirety. Such stove do produce smoke which is reduced when the wood is burning at the correct temp and passers through the second chamber of the appliance. This meets the clean act only and does not stop the 'burner' producing the same toxic mix as a non exempt burner. Just as industry equipment such as foundries etc meet with measures to reduce emissions to the required level during NORMAL use only.Hence you'll see actions taken on industry for not meeting the required levels at certain times of works. The same for WBA (wood burning appliances). When first lit the smoke/gases etc can be horrendous and each time the WBA is restocked with wood, embers produce little if any. But the key here is statutory nuisance, prove it you win, so your goal is proving statutory nuisance.Information is power, use FOI requests also.Research and research, find a legal precedent for the same or very similar situation then yours. I have carefully read all comments and, sadly, am not at all surprised!I recently moved into a detached house, but my house has intermittently but persistently been filled with chemical smoke smelling fumes - I have just figured out it is coming from my neighbour's chimneys - but it comes into my house, even with doors and windows closed, via my chimneys.They use a woodburner and this evening I have just realised why I couldn't breathe and nearly had to call an ambulance twice this week due to asthmatic symptoms and a near severe asthma attack!I have had to use medication for the first time in decades and am not happy!The chemical smell fills my house and I am currently extremely ill.I had to shut myself in one bedroom, put a towel against door gap on ground and open windows to breathe!It's all completely wrong and weighted in favour of people polluting the atmosphere with known carcinogens.I know I have to say something about it to them, but don't want to fall out, having just moved in.However, there's NO WAY I want to die not being able to breathe! I used to have life-threatening asthma attacks, but have been asthma free for decades and very fit and well.I left London due to the smokey atmosphere all over the streets caused by senseless and inconsiderate people smoking at every turn, especially next to business air-conditioning units - result?They were allowed to carry on their poisonous habit to the detriment of everyone else's health!I developed hyper-sensitivity and resultant asthmatic symptoms ONLY AFTER the law was changed to stop them smoking inside buildings, so now they just smoke in your face at every turn on the street!These people seem to be happy go lucky fools as their response is always "It's in the open air, so it shouldn't affect anyone!Really?!! !They don't seem to have noticed that the slightest breeze carries their nicotine and numerous chemicals straight to you - of course, they just don't care.I've constantly been badly affected by the smoke from people lighting up on train platforms without a care (not to mention it's illegal), but of course never enforced...Please post your petition - I'll be glad to sign it! It is of no help to other people whatsoever, but to me, reading other peoples comments about wood burning stoves has helped me to realise that we are not on our own with this problem, although other neighbours don't seem to suffer as we are doing. Our neighbour has two of these stoves in his bungalow, both of which produce smoke when they are first lighted. This initial issue of smoke is NOT the problem - the problem is with the invisible fumes that follow, not only outside of the house, which would be bad enough, but particularly inside, even though we have sealed up the air vents and keep the windows closed (except during cooking and bathing.) We have purchased an electrical air purifier and my wife wears a Cambridge mask around the house. Both of these do help by filtering out the particulate matter, BUT we are still left with the chemical content of the fumes, this includes formaldehyde and benzine, both of which are carcinogens. The local Environmental Health Department are useless in this matter, as all that they are concerned about is if the stove is of the 'approved' type, if it has been correctly installedand the unprovable variable, if the fuel is 'approved.' People shouldn't have to go to the measures that we have been forced to take in their own homes, simply in order to be able to breath. I wonder what the long term effect on peoples health will be from these invisible fumes - The government is clamping down on vehicle exhaust emissions, but it seems to us that wood burning stoves are somehow 'ring fenced', maybe because the very people who make the legislation are exponents of the beastly things. I suffer smoke from a retro-installed a wood burner, its chimney 12 feet from my property, well below the main roof apex carelessly sited in region of turbulence. I learned of this installation when my entirehouse became filled with the acridstink of wood smoke. The housing estate is gas heated with no facility to burn solid fuel. Now the rear of my house suffers smoke pollution with ingress into my house. There is no need for this heating appliance - it is a desirable householdfeature! The previously clean, unpolluted environment is now contaminated with wood smoke. Northampton's Environmental Department exercise passive obstruction regarding complaints. Court action is pointless as wood burners are exercising legal right to pollute the air others breathe.There are very serious health issues regarding wood smoke. It is ten times more toxic than cigarette smoke anda single wood burner produces more lung-contaminating particulates than 1000 cars.Retrofitted wood burners should, at least, be subject to planning permission then official objection can be made. The annoying problems of wood burner smoke are commonly known but these people are generally of ignorant nature with no concern forothers who have to suffer their unnecessary pollution. With current legislation and our useless government there is nothing to stop others doing likewise. If our water supply was contaminated with a safe but unusual taste that would be considered a serious problem.You can buy bottled water but not the air we breathe! These appliances impose on our right to breathe clean air, but according to government legislation we have no such right.I imagine we do havea Human Right! Good idea to get air purifiers for smoke ingress. But while the VAX purifier mentioned below will screen out particles to 0.3 the IQ air Swiss made health pro plus 250 screens out smoke particles to 0.oo3 microns. This is important as the stuff your neighbours are pouring into you is most harmful the tinier it is as this is what lodges into your deep lung tissue.So the VAX will clear the smell of smoke and the bigger but still harmful particles out the IQ air fixes all smoke issues down to 99.5 per cent for the tiny stuff and 99.97 percent for the larger stuff (usually 0.3 microns). You want a purifier that catches it all not just one that traps smoke down to 0.3.WHICH gave VAX a good report but it did not say it was the best purifier available. IQ air is used in SARS wards to clean the air in hospitals. I have five IQ airs for my house. Each machine costs nearly a thousand pounds. This is the cost to me for my neighbours choice to live trendily 'off the grid' by releasing poison into the air from their chimneys. So glad it’s not just us. We are having a problem with a neighbours Firepit. He has it on regularly, often several nights a week. He burns all sorts on it. It can be on for up to6hours some evenings. I have SEVERE Asthma. Environmental health in Swindon are USELESS and other agencies are really slow. The smoke from the firepit is literally destroying my life- in fact it is putting it at risk- it’s getting to the point I’m not safe in my own home. My neighbour thinks it’s funny !!! We can't even 'garden' in our garden, as smoke too thick from neighbour's stove. Have to have windows and of course doors shut. Hanging out washing is difficult, often just get washing out to find fire gets lit, so have to haul it back in. I'm not keen on a tumble dryer and feel when we are being encouraged to reduce energy consumption it's counter productive. It all seems so ridiculous that we as community are again experiencing this problem having been through smoke laden air since the industrial revolution, and the famous London pea soupers. Hi,My problem is not like above.I live in a cottage in a very small close village. The only source of heating and hot water is the Rayburn I have in my kitchen and an open fire I have in my living room. Recently my neighbour has started complaining to me about the smoke from my chimney. There is no gas supply to the village and everyone has a coal fire.My neighbour is a little “cantankerous” and I’m afraid he will do some things mentioned in the article above. Where do I stand ? I can’t control the wind, but I have two small children and I need heating and hot water. It's unlikely your neighbour would be able to take action for this. Maybe you could offer to use smokeless fuel etc to see if that made a difference? Hi, My problem is not like above. I live in a cottage in a very small close village. The only source of heating and hot water is the Rayburn I have in my kitchen and an open fire I have in my living room. Recently my neighbour has started complaining to me about the smoke from my chimney. There is no gas supply to the village and everyone has a coal fire. My neighbour is a little “cantankerous” and I’m afraid he will do some things mentioned in the article above. Where do I stand ? I can’t control the wind, but I have two small children and I need heating and hot water.